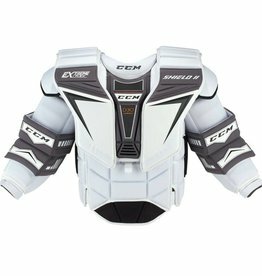 new for 2018, CCM has overhauled their ExtremeFlex Shield line and brought out the CCM ExtremeFlex Shield E2.9 Senior Goalie Chest Protector. 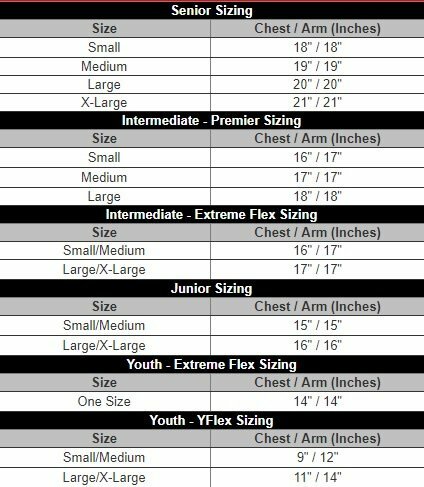 Building off of the already successful design, the ExtremeFlex Shield E2.9 has new shapes and technology sure to turn heads. 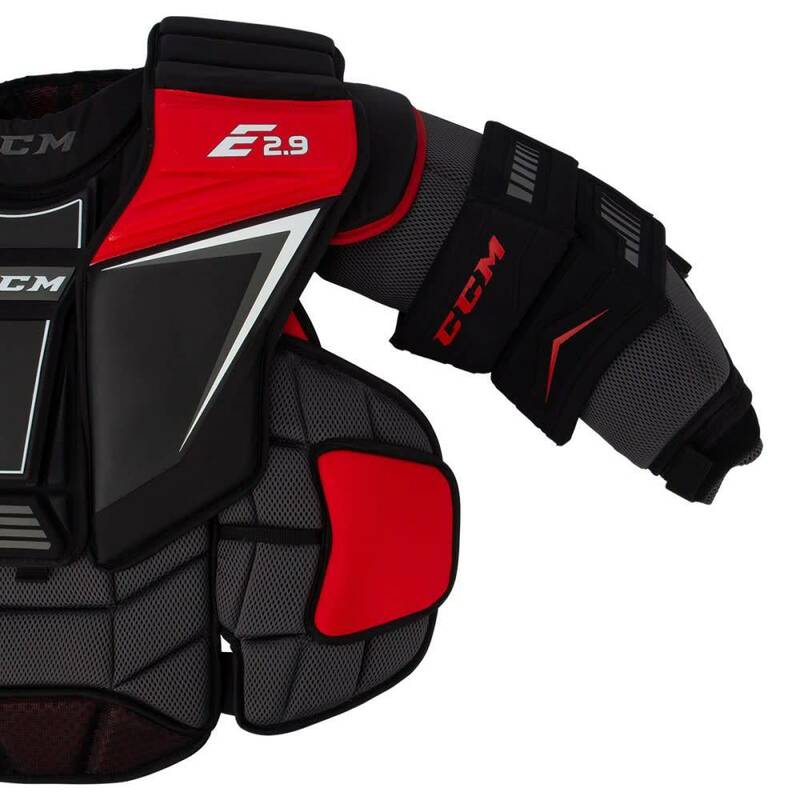 Starting with the body, the Shield E2.9 has larger segmented shapes to provide more blocking surface and less stitching lines to help protect the stomach. 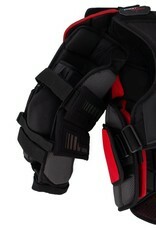 These larger segments wrap around the sides as well to provide protection from shots under the arms. 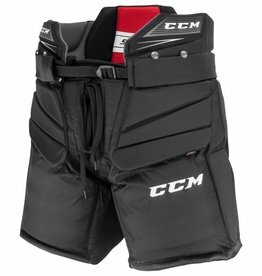 The entire stomach is covered in a breathable mesh material to give extra ventilation and keep the goalie cooler during play. 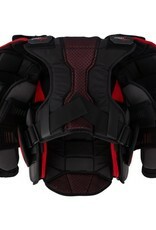 On the inside of the stomach, the Shield E2.9 now features removable rib protection on both sides to give goalies the option for their level of protection. 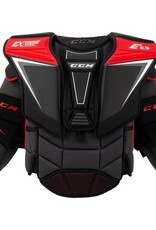 Removing the rib wraps will allow the chest protector to sit tighter to the body as where leaving them in will give the goalie more blocking surface and shape. These rib wraps are attached by 3 Velcro points which makes for an easy and simple removal. 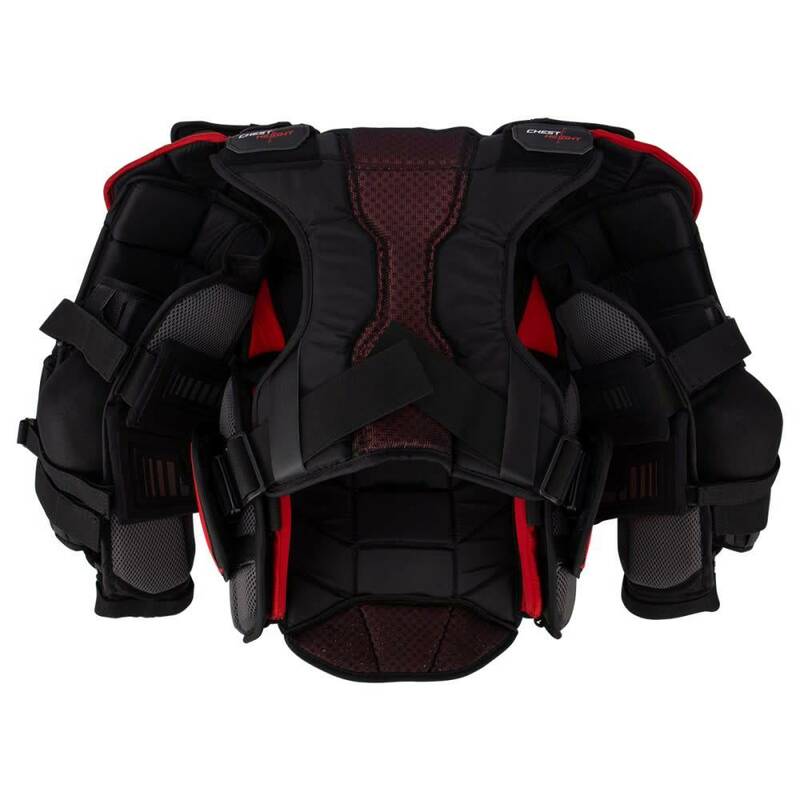 Moving up through the sternum and shoulder floaters, the Shield E2.9 has a full layer of molded HD foam sternum protector to give protection through the heart but will keep rebounds tight to the body. The floaters on the Shield E2.9 have 4 full specific cuts and segments which allow the floaters to perfectly wrap to the shape of the body. 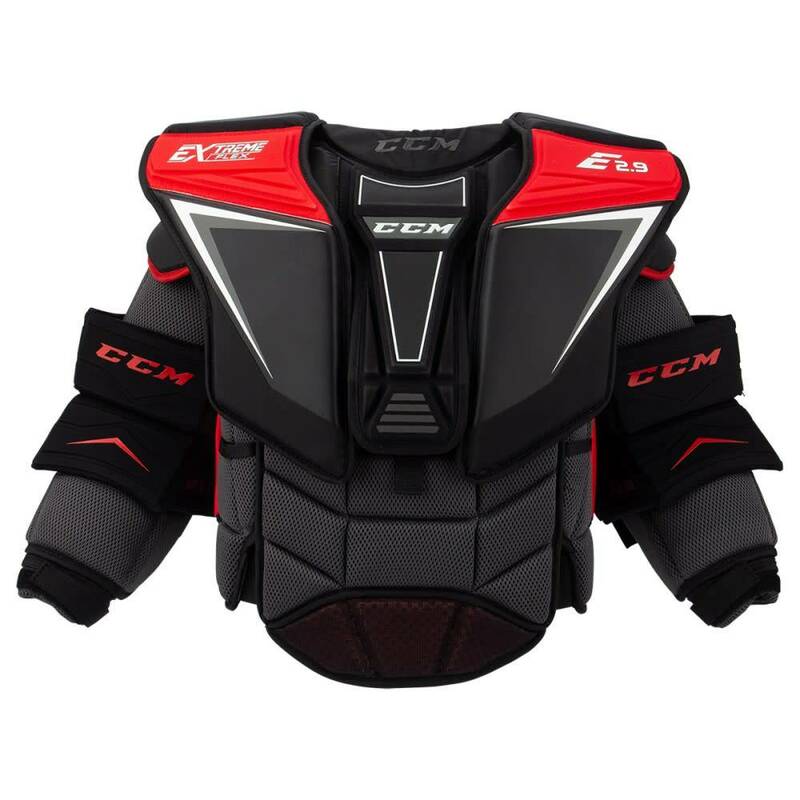 This tighter design gives goaltenders more mobility and movement in their head and neck, providing uninhibited ability to look side to side. 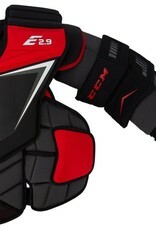 On the sides of the Shield E2.9, there are redesigned arms which will help give the goalie a tight fit. 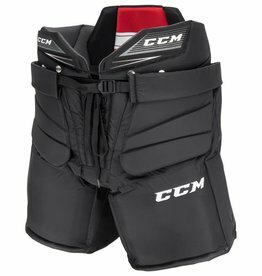 At the bicep and tricep, there are neoprene sleeves which the goalie will pass their arms through. 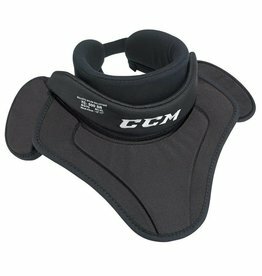 These neoprene sleeves provide a super tight fit inside the arm and will not let the arm of the unit slide around on the body during play. 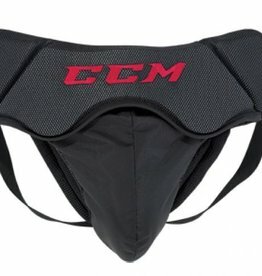 The elbow cup is still adjustable as well with 3 simple pieces of elastic and Velcro. 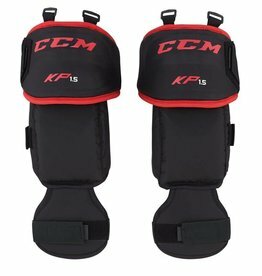 The front of the elbow features compression molded HD foams to provide ample protection and a light weight feeling in the arms. 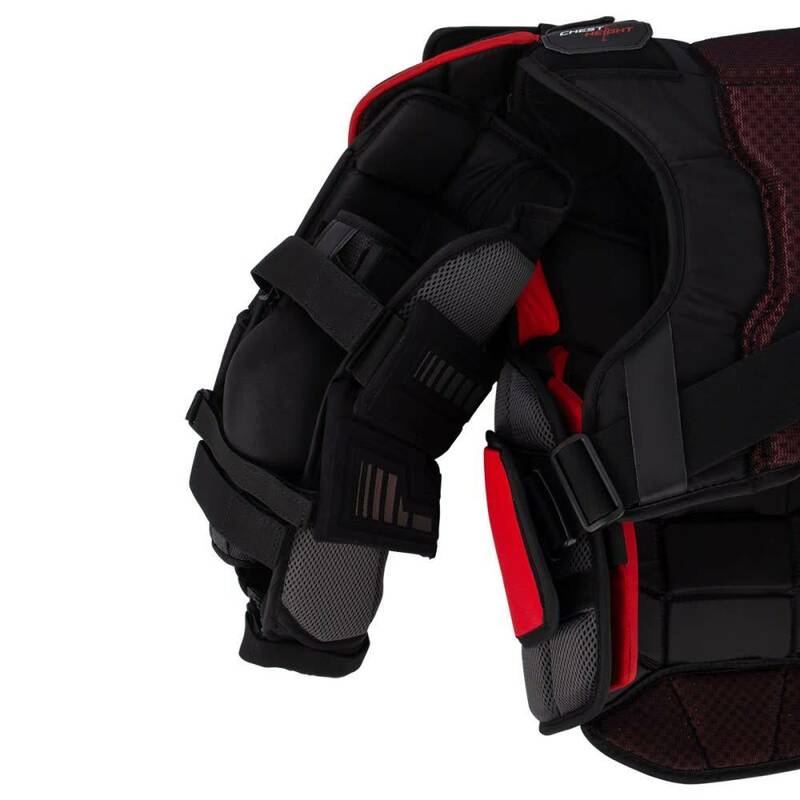 Lastly the backplate and shoulder connection points are similar to the previous Shield model; however the backplate features extra segments and mesh material making for an extremely comfortable and cool fit. 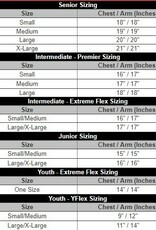 Closing off the body, there are larger 2 inch wide elastic straps with plastic buckles that strategically hidden under foam pads on the sides of the body.